Small business owners are typically good at running a stable business because they can do all of it on their own. But then, you hit a ceiling when it comes to growth because you don’t have the time to take on more work. For that, you would need trusted and experienced employees you can rely on, and they aren’t so easy to find, hire and train. As per data from the Govt. of India Ministry of Micro, Small and Medium Enterprises, the country’s 30 million SMEs already employ 60 million people, and 12 million more will need to be added to this workforce in another three years to handle the growth forecast. 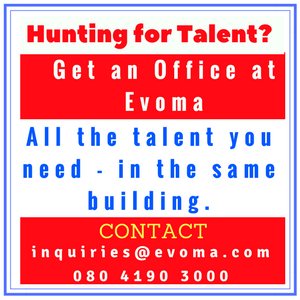 So you’ll be competing with thousands of other businesses hunting for the same skilled and experienced employees that you need. 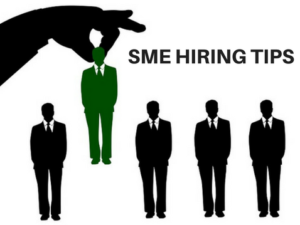 If you want to unlock growth, make use of these top 10 SME hiring tips and secrets to find smart and motivated employees who can get the job done. 1. Hire employees within a 10 mile radius. The core employee base for your business should be living within a 10 mile radius of your location. It doesn’t mean you shouldn’t cast a wide net. But make it a point to focus first on those who are located close to your place of business and those who are willing to relocate somewhere nearby. The benefits of this strategy include a lower attrition rate, fewer employees quitting to migrate for a better opportunity, more female employees willing to work for you, and most importantly – a more loyal employee base that won’t quit without a very good reason. Find complementarily skilled supervisors and middle management or train them up. Ensure they have value adding skills like designing, reporting, administration, in addition to interfacing between employees, clients and the top-level management. It will be beneficial for the business if your middle level management understands business processes across the board. It will also help reduce the need for hiring specialized people, and facilitates training and exchange of skills among team members. 3. Longevity, not skill sets. Hiring employees who already have the required skill sets is fine, but remember that skills are also attainable with training. Customized training to build up the skill sets of your existing employees has multiple benefits. For example, you can reward fast learners with incentives and promotions, while the slow learners are less likely to quit the job once they do pick up a new skill or skills. Either way, it reduces turnover and eliminates the costs of recruitment and hiring new employees. 4. Instill a sense of ownership and pride. Instilling a sense of ownership and pride among employees is an important factor that provides job satisfaction and motivates employees to do their best for the organisation. You can provide employees with a few things that mean a lot to them. For example, send them a bus for pick and drop facility from their homes, open a canteen and a common room for them to have food and beverages and relax during breaks, give them designations and ID cards, and provide a clean work environment. But the most important thing you can do is to simply talk to your employees. Listen to them and ask them to share their ideas and vision for projects and the future direction of the company. If you then incorporate their suggestions, make sure to publicly mention and applaud the concerned employees for their contributions. Such engagement with employees makes them feel like they are a valuable part of the company, and it will also encourage others to start pitching in. 5. Brand positioning as an HR tool. Your brand positioning should be such that job applicants should feel that they will be lucky to be able to join such an organisation, and it will be hugely beneficial for their career. This will motivate more qualified and talented candidates to apply for the job, and they will give you priority over other open positions they are applying for. They will also put in more effort to prepare for the selection process and interview. 6. Workplace safety and security. The number of the female workforce is increasing as compared to previous years. 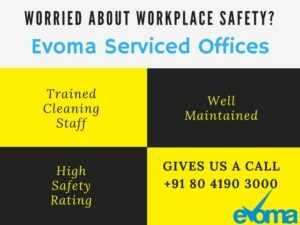 But this also means that safety and security should be provided in the workplace and outside the office premises. Also, the work environment and culture should be such that women don’t feel threatened. If you do this, you will find more number of qualified and talented women applying for your open positions. Offer employee referral schemes under which your existing employees are rewarded for referring candidates who get hired by you. This will provide existing employees with more job satisfaction and monetary gain, while also reducing the cost of the hiring process for the company. It also makes the job of background checks easier, since the candidate and their history is known to your employees. 8. Take steps to reduce attrition. According to a CAP study, the cost of replacing an employee with a new hire could vary from 16% of the annual salary for low-paying jobs to 213% for high-level executive jobs. When an employee quits or you fire them, it means you are losing the cost of hiring and training them, plus the productivity loss in the interim. Add to that the entire cost of the new hire. Take steps to reduce attrition and avoid all these costs through measures such as employee agreements, timely promotions, bonuses and other perks. 9. Option of flexible work hours. Whenever possible, an SME should grant flexible options for working hours. Options like work from home, telecommuting, and results-oriented work hours will increase productivity and reduce the pressure to be present in the office throughout the day. These schemes will greatly benefit female employees, and it’s also very good for everyone in terms of work-life balance. Flexible hours and telecommute options allow your employees to do their work while also spending more quality time with family and friends. If you are offering all this to new hires, you are likely to get hugely more qualified applicants. 10. Perks for family members. Introduce schemes that will not only benefit employees but also their immediate family. If you engage them and keep them happy, your employees might feel satisfied enough to work in a small business or startup. But there’s always pressure from family and friends that pushes people to find a ‘secure’ job with an MNC or a government department. To prevent this, you need to make use of family-oriented perks and bonuses such as group healthcare, paid vacations, company housing, and a daycare center at the office.